The scent of spring flowers suspends reality ... but only for a short while. 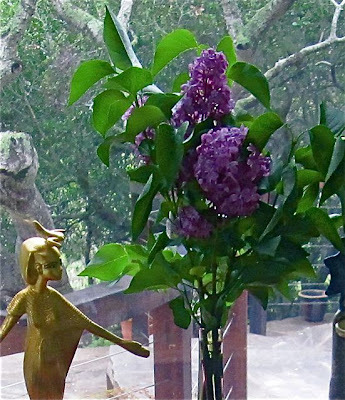 I stumbled on a rare treat at the farm stand yesterday – lilacs. For a southern gal they’re a tease, everything I want in a flower in their sweet strong scent, soft purple color, and bouffant blossoms, yet they don’t grow in our warm climate. 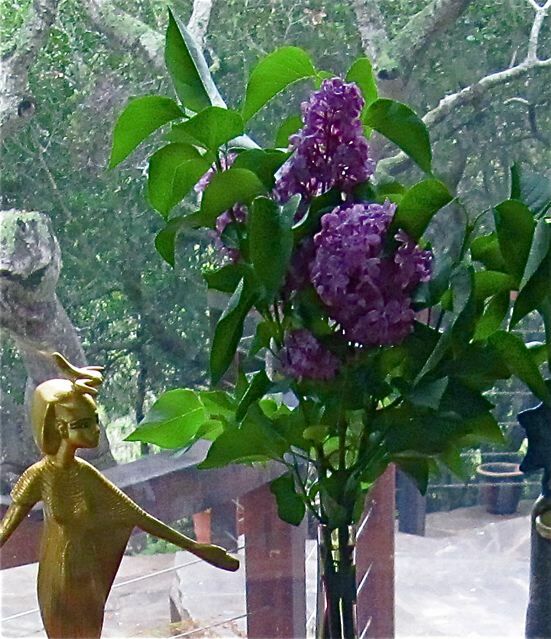 But George and I are in Carmel, California for a few weeks, and although lilacs are a rarity here too, every now and then we get lucky. Like music and art, flowers and scents inspire memories. I can’t enjoy these lilacs without recalling a spring day sixteen years ago when George and I visited New York City for a round of publishing meetings. Although I’d been there once (with my high school band to march in the Macy’s Day Parade), it was years before, and I was unfamiliar with the city. I lived in Carmel in 1994 and flew in a day ahead of George, who traveled from Lafayette, Louisiana. Dressed in my best outfit, I walked to Carnegie Hall. There were people everywhere, and I waited and watched, with hopes that someone would have an extra ticket to the sold-out concert. “I love you, Dolly!” someone hollered on behalf of all of us from the balcony. The next day I walked thirty blocks through Central Park, from my hotel to the Metropolitan Museum of Art. Following my fill of mummies, I strolled back along Madison Avenue, where I bought a large bouquet of lilacs. Their sweet scent filled the hotel room as I recounted my adventures for George later that day. 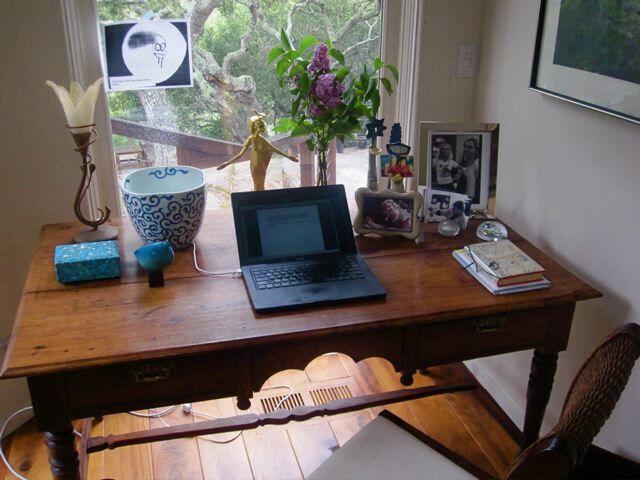 Today the smell of lilacs fills my office, making me dreamy and sentimental as I remember a magical night and write this post, wondering what George is doing on the other side of the house. Turns out he too is working at his computer. But lilacs, Dolly, and New York are far from his mind. 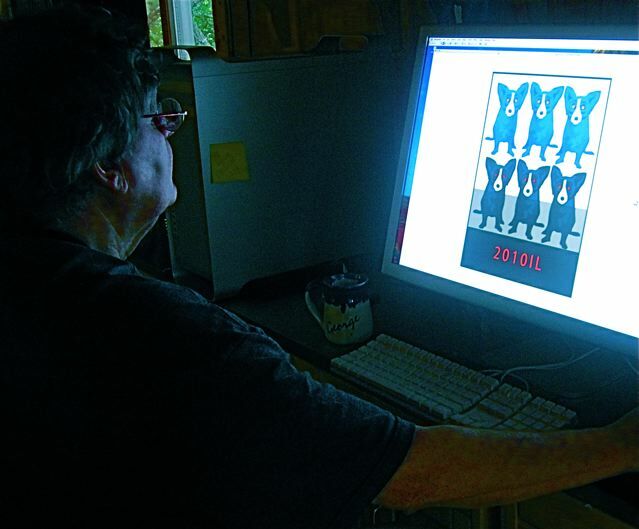 I see the 2010il graphic on his computer - is that something that will become a print for purchase soon? Lilacs were a big scent and sight growing up in north jersey a beautiful bush.